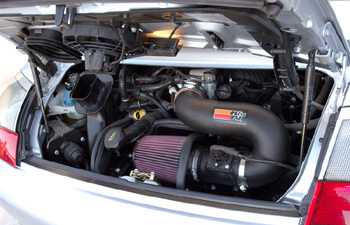 Increase horsepower and torque output from your Porsche 996 with the K&N Cold Air Intake 57-7000! Increase horsepower and torque output from your Porsche 911 996 simply by replacing your factory intake system with a better flowing K&N. 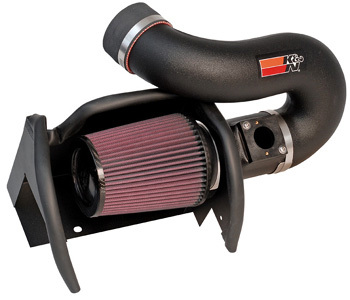 Just by adding this intake system to your Porsche 996 you will gain 23 horsepower and 22 Ft./Lbs of torque! Lets not forget about the gains in fuel economy, or the fact that you will never need to purchase another air filter for your 996 again. 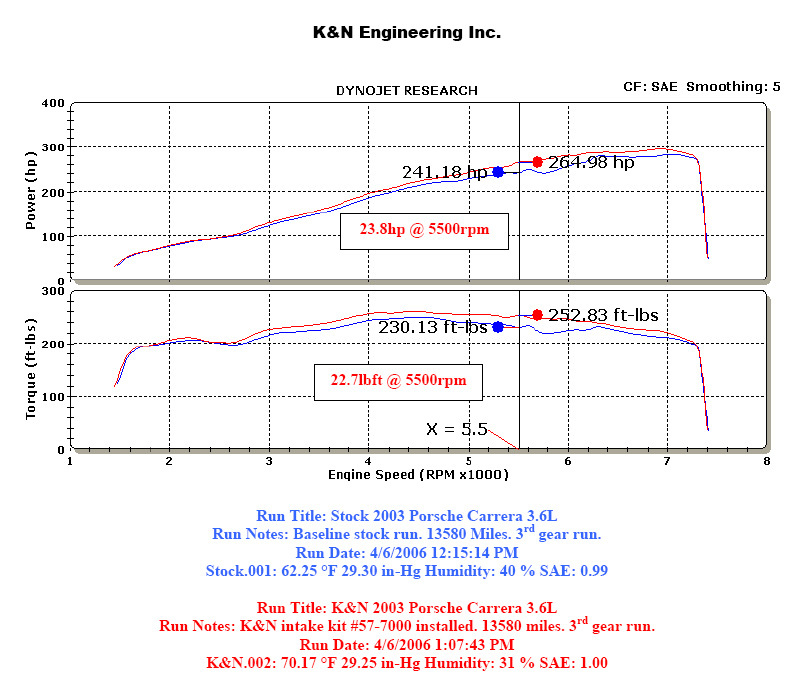 The K&N Cold Air Intake for your Porsche 996 is also street legal in all 50 states in the United States.